Home / misery / reviews / the amity affliction / Review || The Amity Affliction - "Misery"
Review || The Amity Affliction - "Misery"
There's very few albums I was eagerly waiting for in 2018 and The Amity Affliction's fifth studio album, "Misery", was a priority on that list -even though life got in the way and it took me three weeks from street date to finally get to listen to the album. I had a general idea on what to expect from the singles -seriously, if you haven't checked the storyline that vocalist Joel Birch wrote (1, 2, 3) go check it out right now, I'll wait. See, the problem with high hopes is that they create expectations and in turn, expectations very often lead to disappointment. Let me elaborate. 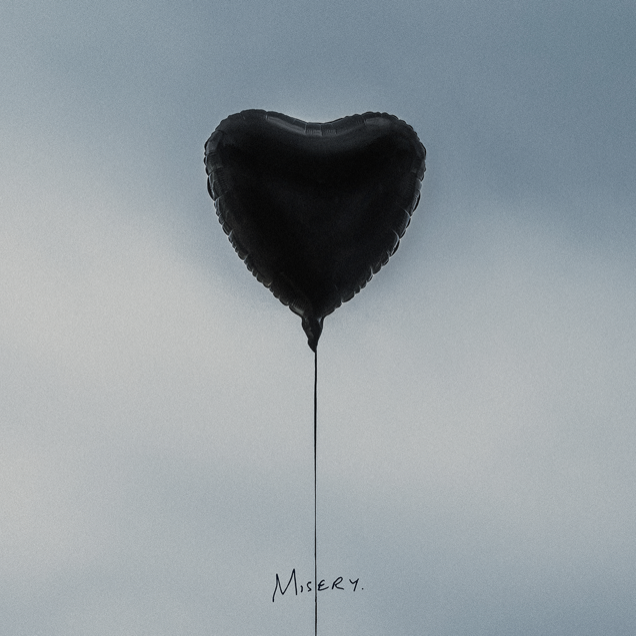 "Misery" was released on August 24th via Roadrunner records and contains 12 tracks. I wouldn't have guessed "Ivy (Doomsday)" was the opening track when the video dropped. Its delicate melody and the juxtaposition between Ahren Stringer's clean vocals and Joel Birch's screams create the type intimacy and relatability Amity is known for when conveying strong messages. "Feels Like I'm Dying" on the other hand didn't impress me as a single (the song, not the video) and I still don't feel impressed in the context of the album. The experimentation feels foreign and personally, I don't think it was worth the risk, and definitely not the position in the track listing. "Holier Than Heaven" is tiptoeing towards the theme established by the first track with a nice singalong in the chorus. As we move on, the upbeat "Burn Alive" features many electronic elements which, although built on the melody, seem to occasionally dominate the actual instruments giving it a bittersweet pop taste. The title track will trick you to think that there's still hope for the first half of the album but alas; electronic parts dominate once more the otherwise intense composition. "Kick Rocks" has some very strong moments and singalongs which I can really appreciate while "Black Cloud" and "D.I.E." start giving breath to the second half of the album. Hold on, this is interesting. The ninth track, "Drag The Lake", contains some obvious flashbacks to older material -and these basslines? YES! the following tracks, "Beltsville Blues" and "Set Me Free" ,are still peaking my curiosity; the second half of the album is pretty good. Finally, "Gifthorse" is a prime example of how electronics should be used to enhance the character of a song. The heavy instrumentation doesn't kick off until after the bridge and only as a crescendo. It's the good old recipe of a big singalong over headbanging music hitting you straight in the feels and before you know it, the guitars have ceased and Stringer serenades you to the end of the album. Well played. I feel that Amity is trying to quietly and methodically pull a BMTH, a little more with every release; keep some of their trademark elements while embracing a new polished and easy-to-listen-to sound, renouncing the "metalcore" legacy that helped them rise to fame (including putting clean vocals at the forefront and limiting significantly the screams). I think my biggest problem with this album is that, although it reflects Birch's struggles and the band's understandable desire to grow musically as they themselves grow older and their influences change, they still haven't figured out exactly what they want to sound like despite what they claim. Bear with me on this one. Right now, Amity doesn't have a precise musical identity, a beaten path, if you will, to follow/explore/expand, just the usual and stable components that the four members are. Throughout their entire career, they have opted to take different directions with their sound instead of casting anchor onto a specific genre (think about the progression from "Youngbloods" to "Chasing Ghosts" to "Let The Ocean Take Me"), which by and large could be considered as creative opportunism allowing them to wash their hands clean if their audience doesn't appreciate the shift in the sound. And yes, I fathom and respect the fact that bands are writing music primarily for themselves and not for the fans. At the same time, the decision whether or not the tracks on this album (and partly on "This Could Be Heartbreak") are hits appears left purely to the judgement of the fans and lack the special something that makes them memorable or outstanding and therefore qualifying to be a hit. Quite the contrary, they all sound very similar and this unfortunately keeps the album from building momentum. This brings me to the second point I'd like to address; the arrangement of the songs seems quite random. The album kicks off with a song that is beautiful but not dynamic enough to be the introduction. Then, and while the listener is still trying to gain familiarity, "Feels Like I'm Dying" starts and throws them off. This rollercoaster is more or less present throughout the whole album, even though things start making more sense and feeling natural halfway through and as we reach the end. I'm all for progress and growth but "Misery" doesn't do the trick for me -it even invalidates my argument that we are more lenient with bands we just like and unforgiving with our absolute favorites. Amity started losing me with TCBH and I'm afraid they totally lost me with this one. Sure, there are positive elements, such as the clean production, the big chosuses/singalongs and groovy riffs but they aren't enough to justify the hype around this album.